HANOI, Vietnam (AP) — HANOI, Vietnam (AP) — Former General Secretary of the Communist Party of Vietnam Do Muoi, who worked against the French colonial government and became a committed communist, has died at age 101. 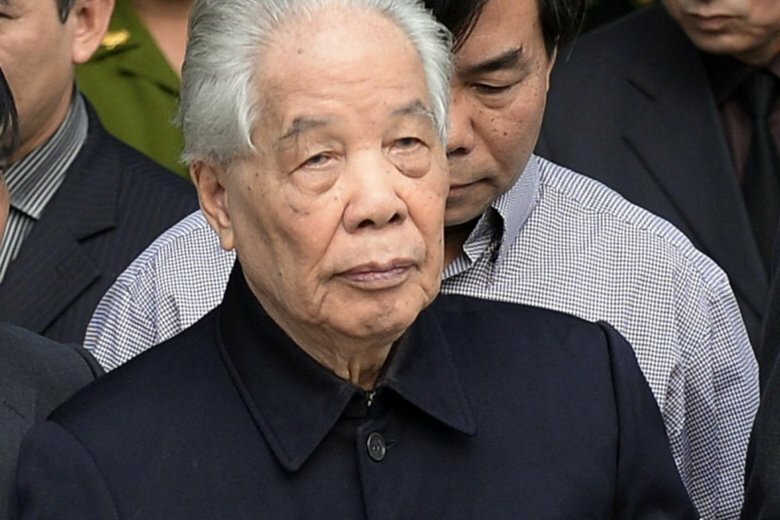 The government said in an announcement posted on its website that Muoi died late Monday night at the National Military Hospital 108 after battling a serious illness despite efforts by Vietnamese and foreign doctors to treat him. “Comrade Do Muoi had gone through various working positions and made great contribution to the revolutionary cause of the Party and nation,” the statement said. State media quoted Phan Trong Kinh, Muoi’s adviser, as saying that the former general secretary was admitted to the hospital nearly six months ago after having fever and breathing difficulties. Muoi had lung and kidney problems, he said adding Muoi was alert, listening to his daily news briefing but could not talk for several months. Born Nguyen Duy Cong in suburban district of Thanh Tri in Hanoi in 1917, Muoi participated in an anti-French movement in 1936 and joined the Communist Party of Indochina, the former Communist Party of Vietnam, three years later. He was arrested by the French colonial government in 1941 and sentenced to 10 years in jail. He escaped from prison before the uprising in 1945 under which President Ho Chi Minh declared independence from France. Muoi rose through the ranks in the party and government. He was elected to the all-powerful Politburo in 1982 and was appointed prime minister in 1988. He served as the head of the Communist Party for more than 6 years before stepping down in 1997. He rarely made public appearance in recent years. Under a government decree, Muoi will be honored with a state funeral, which is reserved for those who have held the posts of general secretary, president, prime minister, chair-person of the National Assembly or those high-ranking officials with outstanding contributions to the country decided by the Politburo. President Tran Dai Quang was given a two-day state funeral last week after he died of a viral illness. General Vo Nguyen Giap, the mastermind behind the defeat of the French and then the Americans, was honored with a state funeral when he died in 2013 at age 102.